The team at Ocean Odyssey is beyond delighted and proud of the positive results of our recent Blue Flag inspection carried out by the international Foundation for Environmental Education (FEE) for the 2017/2018 season. It stands as testimony to our hard work, dedication and unwavering commitment to our local natural environment. 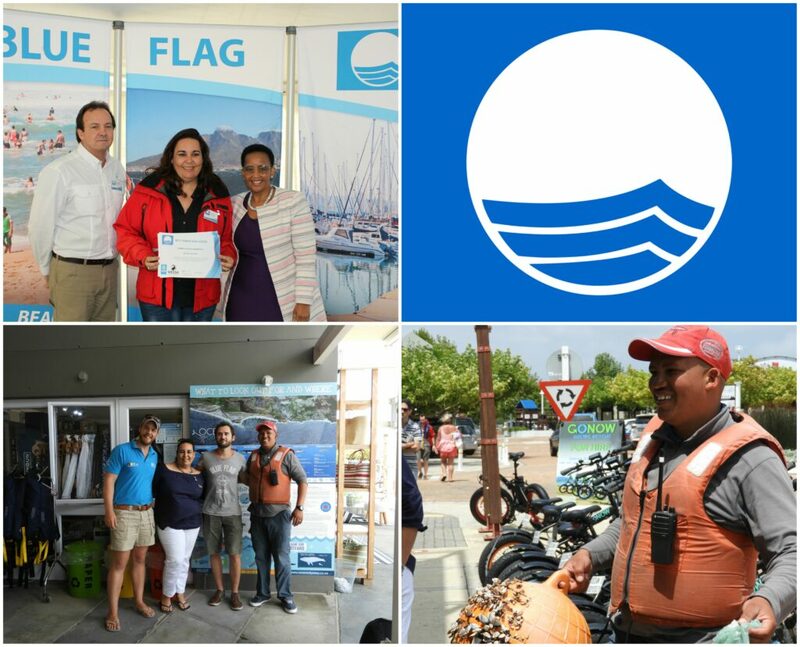 Blue Flag is an international annual award which is centred around the environmental management of our coastal environment and which also aims to promote sustainable tourism growth and development. Over the years it has become an international symbol of the excellence for those beaches, boats and marinas which meet standards of excellence in various categories. These include safety, amenities, cleanliness, environmental information and education and environmental management. For the 4th consecutive year running, we have been awarded Blue Flag Status for all three of our sea going vessels: Sousa, Oyster Catcher and Dolphin II. Every year we are subject to compulsory annual inspections in order to ensure that we, as boated-based tourism operator, continually maintain the high standards set by the Blue Flag Organisation. Our daily operations are considered to be environmentally sustainable. A big thumbs up was given to the guide and skipper that took the time to pick up plastic litter from the sea during one of our outings, thereafter using this opportunity to educate the guests about the prevalence of plastic pollution in our sensitive marine environment. Our informative and educational commentary about the various natural, geological and cultural assets of our region. Information about our marine protected areas and the various species which can be seen during our tours. Our highly informative leaflets available to all guests on board, good use of the available space and the sustainable way in which we display information. Responsible skippering with regards to the way in which our skippers adhere to the strict permit regulations when approaching and observing marine wildlife. The international Blue Flag judges went on to say that we proved to be very a impressive Blue Flag SBTO company, despite the various complicated national law and regulations background that we have to contend with. And that we follow all Blue Flag requirements and go above and beyond the set guidelines for environmental education information and education. After lots of hard work, we are very proud to fly the Blue Flag high!! 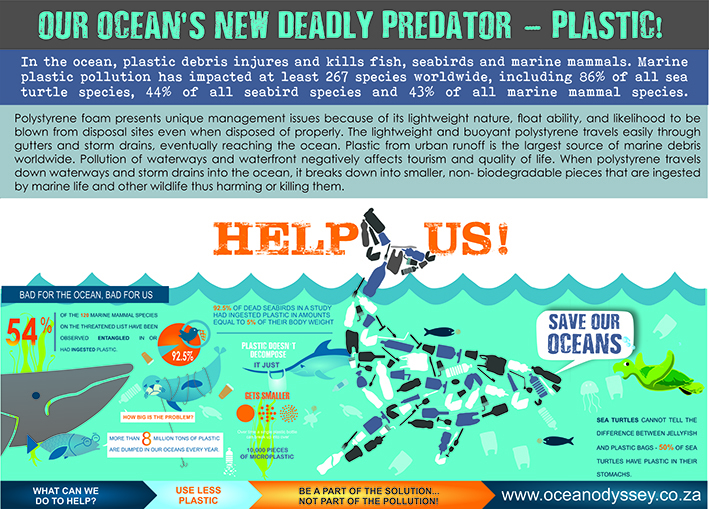 Educational poster designed by Ocean Odyssey discussing the plight of plastic in our oceans. 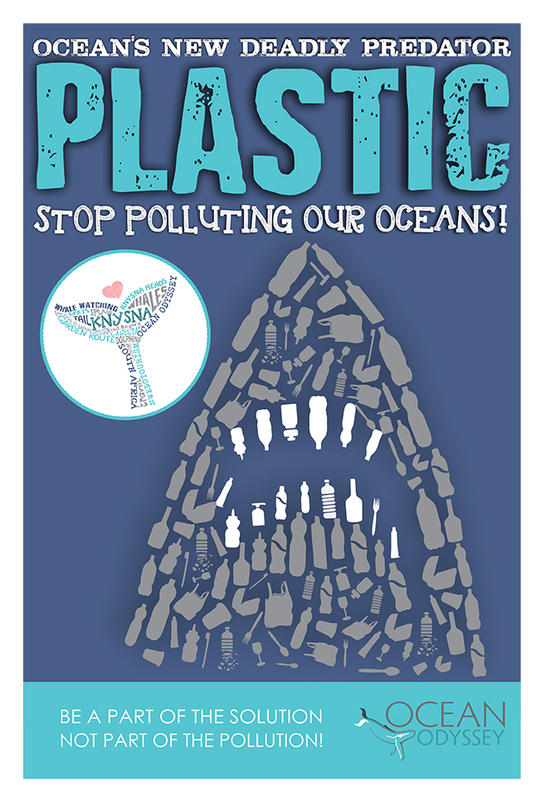 One of our educational posters urging people to rethink their daily plastic habits. 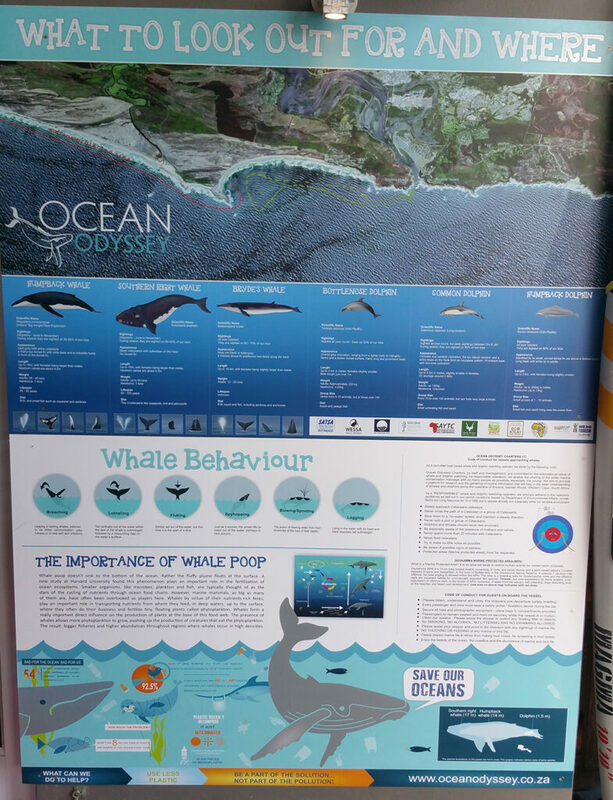 An informative poster outside our Ocean Odyssey offices about the species that we are likely to encounter and some whale behaviour.